SUPERMARKET giant Coles has done yet another backflip on its stance on plastic. The supermarket has come under intense scrutiny for failing to stick with its ban on handing out free plastic bags but today they have revealed they are extending their popular Little Shop campaign. 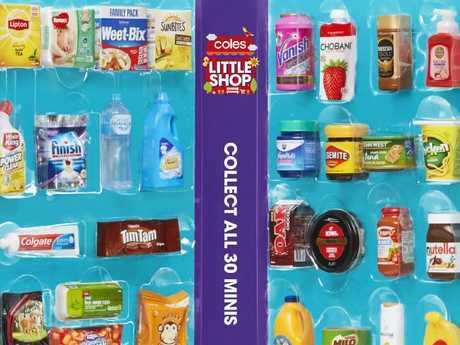 The mini collectables available at supermarkets across the country for every $30 spent were due to end on August 28. But today the supermarket issued a statement saying this was now being continued through until September. The supermarket has failed to make firm decisions on plastic in recent months and this has continued - they said the campaign will continue for another few weeks until stock lasts. Coles Chief Operating Officer Greg Davis said customers have embraced the campaign. "We are delighted to be able to continue the campaign for customers who have told us they need more time to complete their sets," he said in a statement. 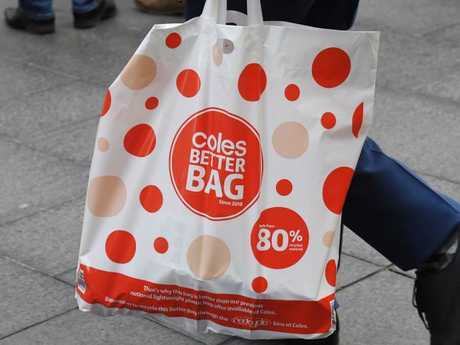 Coles dumped single-use plastic bags on July 1 in Victoria, NSW, Qld and WA but outrage from customers resulted in the supermarket handing out free reusable plastic bags - normally 15 cents each. These bags are still being handed out for free and this is due to come to an end next Wednesday. The mini collectables have proven a hit with shoppers since they launched last month. Shoppers can collect 30 bite-sized products including Tim Tams, Nutella, Milo, Tuna, Chobani yoghurt and Huggies nappies. The supermarket even held a swap day recently allowing shoppers at dozens of stores across the country to bring in their items and trade them with each other. The supermarket giant today said they would not be changing the final end date of handing out reusable plastic bags. Rival supermarket Woolworths this week confirmed Coles' Little Shop campaign had hurt its recent sales as shoppers flocked to stores to join the craze. Environmentalists have slammed Coles for continuing to hand out free plastic bags and free miniatures, which contradicted its move to stamp out the use of grey plastic bags.